This gorgeous PRS Artist III has the prototypical PRS sound: broad, full response across the whole frequency spectrum with a slight bump in the midrange for added punch. That midrange is really what makes this one special--it sounds quite like a human voice, and it has a soaring quality to it. 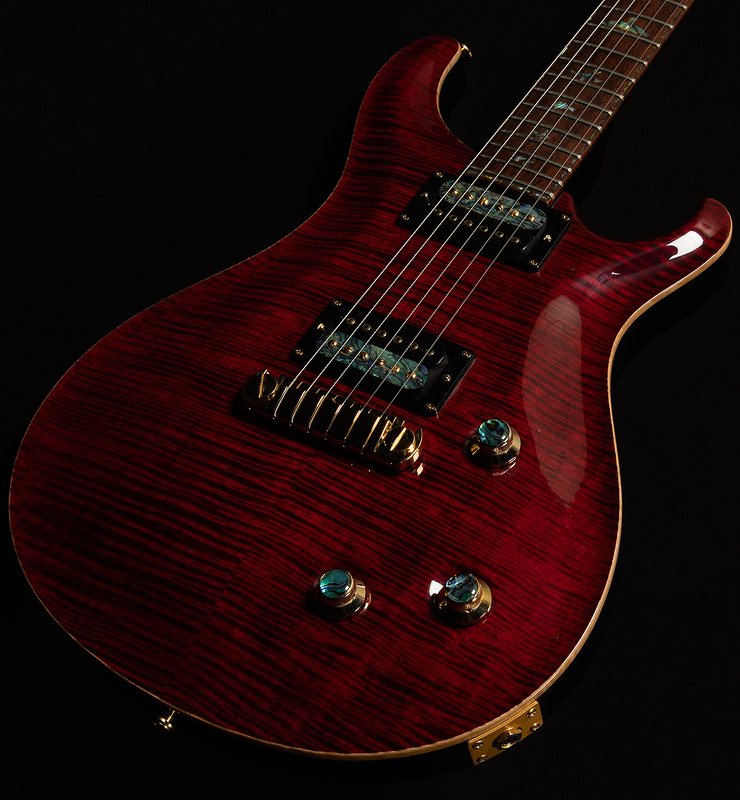 Anyone seeking a drool-worthy PRS with a huge sound will love this serial! This stunning guitar only has light fret wear, a few light dings and normal play wear on the back, and a few repaired dings on the top. There is also a large scratch on back of the headstock. It does include the original tags andthe original hardshell case!